For most of us, good photography is one of those impenetrable mysteries that always seems just out of reach of mere mortals. Yes, anybody with a camera might be regarded as a ‘photographer’ in the strictest sense of the word but for most of us the results demonstrate there is a near-insurmountable gulf between the ordinary camera pilot and skilled camera artisan. True, we may capture an image of sorts but it is often fuzzy or badly lit or poorly composed or possessed of some unnatural hue or some unholy combination of the above. 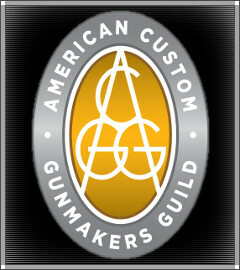 Few of us will ever be called upon to illustrate a coffee-table book on guns but it would certainly be nice to produce images of solid quality for firearms sales work, insurance and security purposes, recording professional work, properly illustrating a manuscript for submission to a periodical or just preserving a look at a gun you may never see again. Luckily, there is hope for most of us. While there is a considerable distinction to be made between industrial and artisanal photography, it would still be nice to make unremarkable photographs of good quality. Sometimes, the best work is quiet and calm and does not draw attention to itself but rather directs attention to the subject matter. Most workaday gun photography should do just that. It doesn’t have to be great, just not bad. That may sound like setting the bar pretty low but there are only so many hours in a day to create images and so many ways to view the checkering on a gunstock, for instance, and convey the important information about it. That said, even well-done business-class photography takes on a quality all of its own. Believe it or not, it can be done and with a modicum of relatively inexpensive equipment. Joel Schafer shows us how. Schafer’s story is a familiar one. He is a fellow member of the American Custom Gunmakers Guild, a gifted stockmaker and checkerer and author of an excellent book entitled THE FINAL TOUCH: A Complete Course in Gunstock Checkering. Like most of us in the trade, he relies a lot on hi-quality images to showcase his work, whether in a catalog, at an internet website or, perhaps, in a book entry or magazine feature article. While Schafer had a background in photography, he realized early on there wasn’t much material available to guide the untutored tradesman with limited experience so set out to outline and share his basic techniques built around affordable, readily available equipment and materials. This little booklet explains in simple terms how to select an adequate camera and how to use it. You will be stunned to learn that most any $250-$300 high-quality pocket camera will do nicely. No need for a $5000 digital SLR. Some computer skills are necessary for navigating simple Photoshop software and techniques but probably nothing most of us cannot acquire with just a little practice. You will discover in short order the Spot-Healing Brush feature is invaluable in removing lint and other detritus inevitably drawn to an exposed firearm, especially when it finds itself in front of a camera. The most important part of the book is devoted to rigging a simple background and lighting set-up. The background rack and diffuser screens call for a wee bit of very basic carpentry work with lumber-store 2X2s and some basic nut and bolt hardware. Some Walmart shower curtains and fabric-shop felt round out the materials list. Any good welding shop can cobble together the gun stand for a few bucks. The lighting itself is done with a couple of inexpensive internet light stands and bulbs, all accurately and specifically described to save time and eliminate any guesswork. With a little workspace and a few hours of work, you can produce your own simple studio. With a little practice with Schafer’s techniques and equipment and some of your own, you might scare yourself with the results and start getting ideas. While this booklet is only 28 pages, it features almost two dozen high-quality photographs of the equipment, the set-ups and the results. At $19.95 plus HIS, it is an investment that will repay you a thousand-fold with high-quality images that will justify your pride in your work and your guns. Also available at www.amazon.com; price and shipping may vary. Primitive iron has been produce on earth now around three millennia. With better smelting procedures and the controlled introduction of carbon to iron, reasonably pure, usable steel has been with us perhaps a thousand years or so. Controlling the carbon content and alloy accurately in steel is a more youthful development in history, perhaps on an industrial scale only in the last couple of centuries. Early firearms manufacturers did not have dependable through-hardening steels and depended on two things to make firearms durable and safe: case hardening and mass. By case hardening (carburizing) the surface of low-tensile steels, they could be made wear resistant but no stronger. ‘Stronger’ meant ‘more’ which is why an 8-bore double rifle from the 1880s will weigh twice as much as a .458 Winchester Magnum rifle from the 1980s that generates similar horsepower. Surface carburizing of low-carbon steel is a simple process. Steel parts are packed in a steel box and surrounded by some sort of carbon-rich agent such as bone, charcoal, leather bits and the like. Heated to red hot, carbon migrates into the steel. Time in the box determines the depth of carbon flow into the steel. The hot part is dumped into a quench (usually secret recipe involving water) at which time the surface becomes glass-hard to the depth of carbon migration. The resulting part is not really stronger but is enormously shock and wear resistance, thanks to the softer core and extremely hard surface In low-pressure firearms, it is an ideal result. At the start of the Nineteenth Century, some brighter light discovered that clean, degreased steel packed in charcoal and quenched in a magical, quench, probably aerated water charged with eye-of-newt and faerie dust, produced a mottle display of the various heat colors observed in white steel heated through a range of moderate temperatures. These wondrously interwoven splotches and spills of brown, blue and plum, maybe even a little green and red, are relatively random, depending on the section of the part and disparate rates of cooling. Simple as it sounds, the tricky part (isn’t there always one?) is getting these results predictably, consistently and safely without damage to part or end user. Gunmakers, often high priests of the gods of technology, often as not practiced a secret liturgy devised to insulate ordinary believers from peculiar knowledge. It was enough to know coloring could be done. Just not how. Consequently, there is still much mystery around the craft. John Seim sets about to dispel some of the darkness by systematic experimentation and research over the course of thirty-plus years. 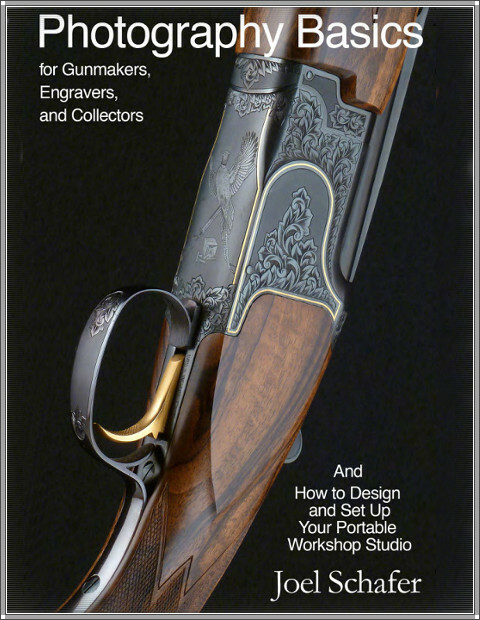 In cahoots with several custom gunmakers, the gunsmithing staff and students at Trinidad State Junior College in Colorado, he presents the results of this ongoing study in his book Colour Case Hardening of Firearms. While Seim specifically disclaims that this is a ‘how-to’ book, he covers in detail any of a number of critical considerations in the production of bright, stylish coloring. There are discussions of charcoal selection, racking parts, shielding to enhance color and dispersion, quenches and quenching and more. As one might imagine, there are a number of safety cautions that touch on materials and proof testing. While I am aware of experiments in traditional pack-hardening and coloring of through-hardening materials such as 4140 that involve drawing or tempering after the fact, there are real limitations to the classic pack-hardening methodology. As a general rule, true case hardening with traditional carburizing agents is applicable only to low-carbon steels. Applied to high-carbon steels heated to their critical point (the temperature at which they will achieve maximum hardness for their alloy upon quenching), the parts will be hard through and very brittle, subject to failure at the shock of firing. At this writing, I am aware of only one source of coloring for medium-carbon steels that does not affect the underlying metallurgy. 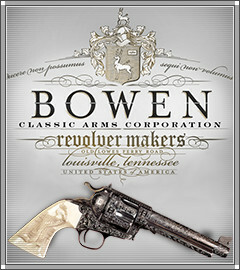 The proprietary process of Turnbull Manufacturing is safe for modern firearms such as Ruger revolvers, reproduction lever guns from Winchester and Browning and similar guns. There are also some molten salt processes which which do not approach closely most steel’s critical point and are therefore suitable. Only the rare serious student or practitioner will fail to take new or useful information from this book. 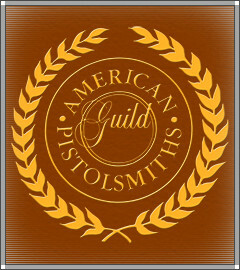 The curious layman will see through the window of these pages an highly developed and refined but still arcane art and come away with a heightened appreciation of the knowledge and skill that feature in great gunmaking. 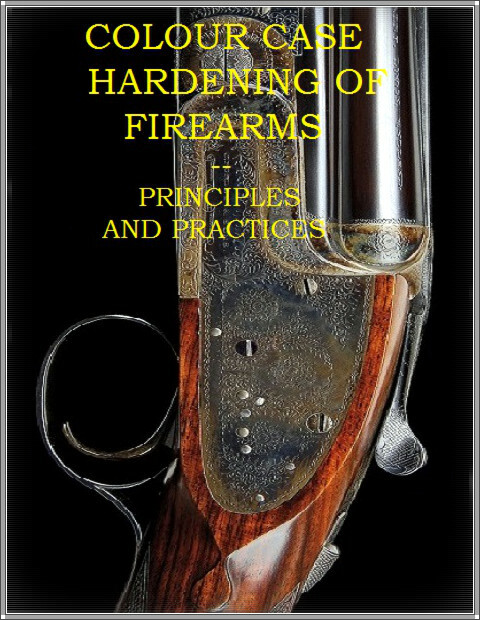 Colour Case Hardening of Firearms is 182 pages in bench-friendly spiral-bound form. It is heavily illustrated in color with graphs, charts and tables. and charts where appropriate to elaborate on data. The suppliers list and bibliography are invaluable and encompass much of the necessary intelligence available on the subject. Also available at www.amazon.com; price and shipping costs may vary. All proceeds from the book sales are donated to the Trinidad State Junior College Alumni Fund to fund new equipment and a new gunsmithing instructor’s position at Trinidad State Junior College in Trinidad, Colorado. 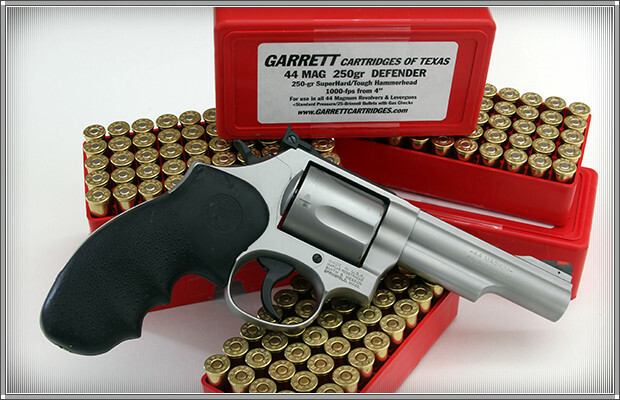 Garrett Cartridges of TX is one of the preeminent ammunition makers of our time, especially for revolver shooters. 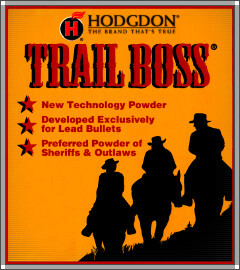 The company’s reputation was made with two heavy-bullet .44 Magnum cartridges that were introduced nearly thirty years ago by founder Randy Garrett. Mercifully for the ammo-buying public, the firm didn’t disappear when Randy Garrett retired some years ago. He put it into the hands Ashley Emerson, who has carried on Garrett’s great tradition of quality and innovation. Emerson also brings to the table several lifetimes of hunting experience with revolvers and has applied his accumulated knowledge and judgment to the development of everything from better sights to better ammunition. Not one to rest on his laurels, Emerson has added several innovative cartridges to the Garrett lineup since he took over. 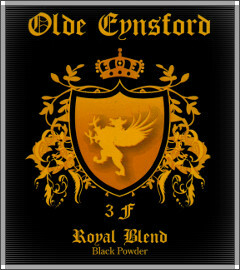 Among his more important offerings are high-performance loads for the .45 Colt and .454 Casull. But every round fired doesn’t need to be of the thermonuclear variety. Bearing that in mind, Emerson has developed some mid-range ammo that extends both the life of a gun and a shooter’s hands. The first of these rounds introduced a couple of years ago was a .45 Colt +P+ load that pushes a 265-grain TFP bullet along at about 1,000 feet per second from a 7½-inch barrel. This month we received from Emerson three more mid-range .44-caliber cartridges, one for .44 Special and two for .44 Magnum. The Garrett .44s left to right: .44 Mag. 310-gr. Defender, .44 Special 250-gr. Hammerhead, .44 Mag. 250-gr. Defender, .44 Mag. 250-gr. Hammerhead and the .44 Mag. 330-gr. Long Hammerhead. This SAAMI-compliant cartridge shoots 250-grain Hammerhead bullets at 950-1000 fps in 4½ to to 7½-inch barrels in modern .44 Special Colt Single-Actions and their clones and in Ruger and Smith & Wesson .44 Special and .44 Magnum revolvers. A milder version of Garrett’s 310-grain, heavy-duty load, this cartridge propels 250-grain bullets at around 1000 fps in the 4-inch barreled guns often favored to protect home and hearth or for backup carry in the field. Even in heavy, all-steel .44 Magnums, the recoil created by 310-grain bullets can be tiresome for some shooters. The 250-grain Defender is a less painful alternative, but it’s still plenty effective, thanks to the excellent bullet design and material. 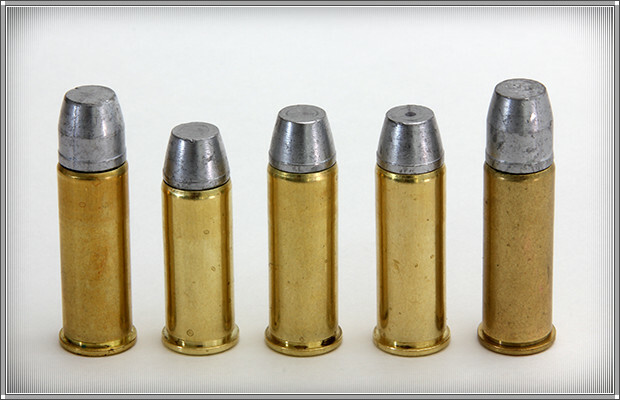 These cartridges are particularly suited for smaller, lighter guns such as the S&W Model 69 or S&W’s infamously punishing Model 329 PD, which weighs just 25½ ounces. The reduced recoil of the Defender load boosts the shooter’s comfort level, allowing better shot placement and quicker followup shots. As with the Defender load above, the 250-grain Hammerhead is an understudy to Garrett’s original 310-grain Hammerhead round, which can be formidable for less-experienced revolver shooters. Again, thanks to the excellent bullet design and material, this cartridge offers performance on par with traditional high-velocity 240-250-grain loads without their attendant recoil and muzzle blast. All Garrett bullets are cast from a proven alloy that will not shatter. They are tough and hold their shape, which is one of the most critical aspects of cast-bullet performance. The penetration delivered by such bullets is out of all proportion to their indicated horsepower. Gas checks on the bullets minimize leading in guns with less than optimal cylinder throat diameters.